This is our second year to offer this scholarship, and we are so excited! 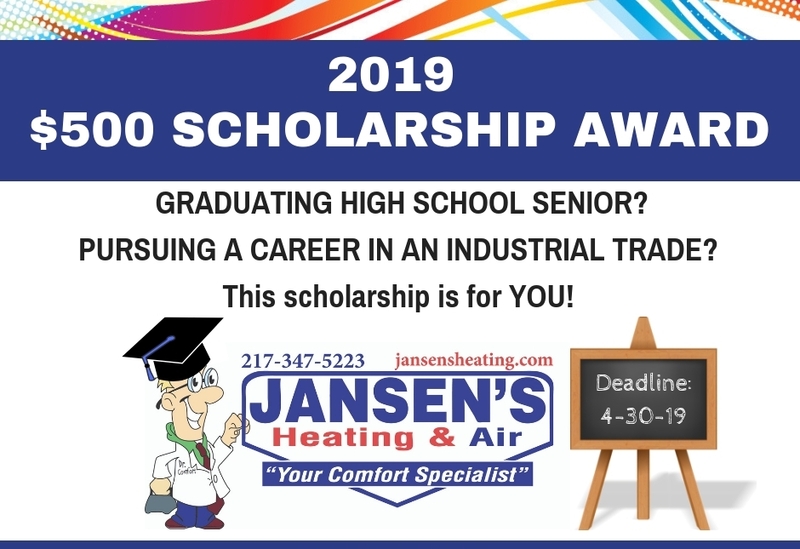 Jansen’s goal is to spark interest in specialized, industrial fields (e.g., plumbing, construction, electrical, HVAC, masonry, etc.). There has been a decline in qualified candidates that choose these career paths, and we believe they are a vital part of our communities. 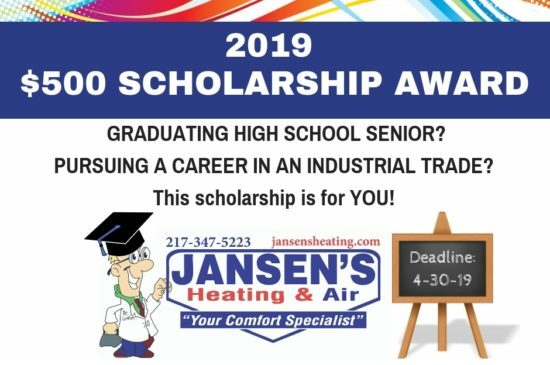 The scholarship details and application are in the link as follows: 2019 $500 Scholarship Award. The scholarship application, essay, proof of acceptance, and letter of recommendation are to be submitted by April 30, 2019. The winner will be selected and announced May 31, 2019. We hope local candidates take advantage of this opportunity, and we wish them the best! Comfort Available: 24 hours a day, 7 days a week, 365 days a year. Your Privacy is Guaranteed. We will never give, lease or sell your personal information.